The Woman Who Knew Too Much illuminates the life and achievements of the remarkable woman scientist who revolutionized the concept of radiation risk. 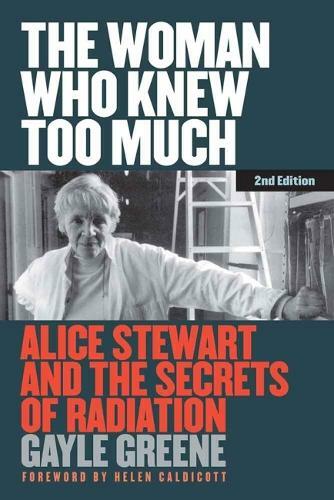 For more than 40 years, Alice Stewart (1906-2002) warned that low-dose radiation was more dangerous than anyone acknowledged. In the 1950s she discovered that fetal x-rays double a child's risk of developing cancer. Two decades later, in her 70s, she again astounded the scientific world by showing that the U.S. nuclear weapons industry was about 20 times more dangerous than safety regulations admitted. This finding put her at the center of an international controversy over radiation risk. In 1990, the New York Times called Stewart "perhaps the Energy Department's most influential and feared scientific critic." Author Gayle Greene traces Stewart's life and career as she came up against ever more powerful authorities, first the British medical profession, then the U.S. nuclear industry, and finally the regulatory agencies that set radiation safety standards throughout the world. Stewart endured the fate of other women scientists in having her findings dismissed and funding cut, but today is recognized as a pioneering figure in epidemiological research on the dangers of nuclear radiation. In her preface to the second edition, Greene looks at new information that's come out about the forces and individuals responsible for marginalizing her as a scientist and downplaying the disturbing implications of her research.